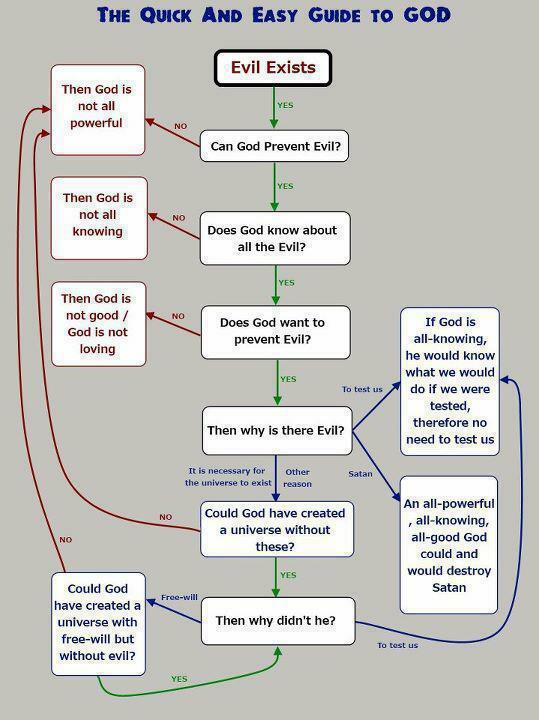 This is a powerful flowchart of refutation against the modern “christian” authoritarian rationalization. It is practical and I commend its creator. Have other nonbelievers ever considered what a “god” that is not all powerful could look like? It clearly escapes the clutches of this chart; omnipotency has always seemed self-contradictory anyway. I am about to say things that the vast majority of you will misunderstand. Have you ever experienced the “sacred” or “numinous” ? Have you reached the understanding that consciousness is a representation? Do you appreciate that technological development is accelerating exponentially? What’s your understanding of the relationship of the three preceding questions?